For most of you, customs officers are those officials rummaging through your luggage - without blushing. It is mostly not the time to give you a detailed explanation on the reason why we do that. That is why we will take this chance during the museum tour. Bet you will have a totally different opinion afterwards? It is a great pleasure to accompany you during this virtual visit by which we hope to stimulate your interest so that we may soon welcome you in our museum of customs and excise. Which information can be supplied in English? First of all, we supply general information on the organisation, the mission and the history of the museum. We wish to share with you the long road that has been travelled since the first plans for the foundation of the museum were made. 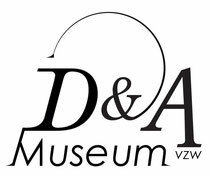 Furthermore, we offer all practical information which you need for planning a visit to our museum in Antwerp: opening hours, entrance fee, directions and adress and contact. Also, we give a hint of what can be seen in the museum. You can find information on our permanent collection but our temporary exhibitions are also mentioned briefly. Last, we want to point out the objects stored in our depository and the documents kept in our documentation centre.